For a challenging trail run just outside of Colorado Springs, the Iron Mountain/Intemann Trail in Manitou Springs is a tough 7.5 mile option. There is plenty of free parking in Memorial Park. 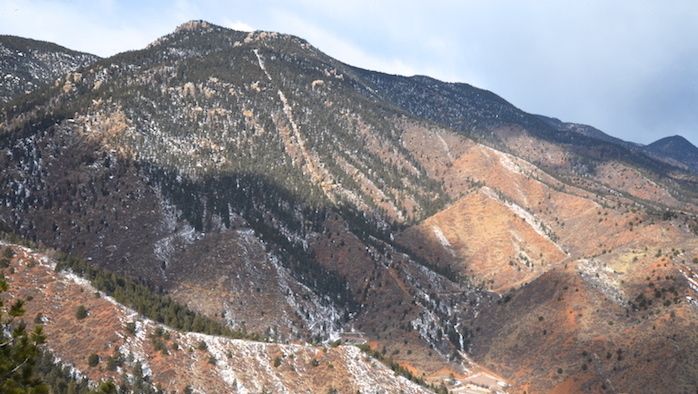 From there, run west on Manitou Avenue to Ruxton, take a left, and run up to Iron Spring Trailhead on the left. The gravel trail heads east along the Intemann ridge with great views and steep climbs. Eventually, it runs into Crystal Park Road for a 2-mile descent on the road. Connect to Manitou Avenue and continue west back to Memorial Park. There are connections to other trails in the area. Also near the famed Pikes Peak Cog Railway.